5 steps to get you that summer body you have always wanted. 1: Work out with weights.The right kind of weight training for women can be extremely beneficial for good health and for achieving your visible physical goals. Many people believe weight training does not burn calories, but this is untrue. Weight training, if done correctly, has been proven to burn more calories than most cardiovascular activities. Resistance training builds muscle tissue/ connective tissue, strengthening bones and improves vitality. 2: Eat more healthy meals a day in order to speed up your metabolism you must eat less and eat more often. 3 big meals a day is not going to help you lose weight. 6 smaller meals of healthy food is going to get you just that bit closer to achieving your goal. Remember that this is 6 healthy meals. A lot of people don’t realize that about 70% of weight loss is in your diet. 3. Drink more water. Ditch those sodas and start drinking more water. We all know that sugar drinks go straight to the hips but so can the diet drinks as well. Diet drinks can make your body produce extra insulin which can in turn make you put weight on. In addition to flushing out the toxins out of your system, drinking water encourages you to build muscle. The average person should drink 6 – 8 glasses of water a day and more when you are training. It is advised that you drink room temperate water as it absorbs much quicker into the system. Especially when training and in turn it should avoid you bloating and have it sitting in your stomach. 4. The correct cardio training. Doing the correct cardio training is extremely important. A good balance of exercises is also needed to avoid the body from reaching a plateau. 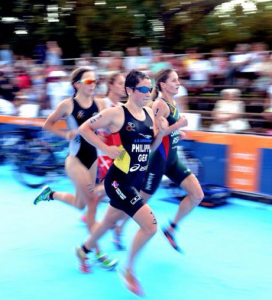 Mix it up with running, cycling, swimming and even a variety of sports. Also make sure you mix it up with interval training and not just the same repetitive motion. Jog or walk for a while and then sprint for a period of time. You need to constantly shock your system. 5. Avoid alcohol. Alcohol can be one thing that if had to excess can ruin all of your great eating and training. A lot of our clients don’t realize how high in calories alcohol is by itself not to mention how bad some of the mixers can be for you. Then what do you do when you wake up the next day? I know that the first thing I feel like doing after having a couple drinks the night before is call up the nearest burger place and eating the fattest burger there. Because your body is trying to break down the calories from the alcohol, this burger will pretty much store straight in the body as fat. So if you do feel the need to drink, make sure that the next days food intake is extremely healthy. These are 5 easy steps that if all done correctly will help you get into shape for summer. None of these should be overlooked. If you are going to have a go, make it a good one. Good Luck. In order to achieve wellness, optimal performance and/or full recovery from injury or illness a combination of movement and exercise, nutrition and hydration, rest and recovery, and thought and stress control are necessary. The right type and amount of exercise stimulates the growth and strengthening of injured tissues and is vital to the healing process following an injury. It is important to eat the right amount and right type of food to ensure that specific nutrients are available for tissue repair. Drinking an adequate amount of water is essential to allow hydration of your joints, allowing your cartilage, discs and nerves to function normally. Your body heals when you rest. It is important to get a balance with the right amount of exercise versus the right amount of rest. At nighttime your body undergoes its physical repair between the hours of 11pm and 1am. Excessive stress, extreme emotional responses and negative thought patterns may all interfere with the healing process. Your physiotherapist is able to discuss all of these components with you giving you advice and information on how you can manage these factors to achieve the best results for your injury. So many times in the Physiotherapy practice we get our clients asking how to improve performance, but commonly recovery is hugely overlooked. Marcel Gyde – Physiotherapist @ Bureta Physio takes you through some of the basics of exercise recovery to making sure you get the most out of your training. Successful exercise and sport has a basis of quality training set around duration, frequency and intensity, with an important ingredient of recovery, as a means to adapt, improve and capitalise on training. All to often in physiotherapy we see many athletes suffering conditions related to fatigue, conditions of strain that can be avoided through successful exercise recovery programmes and tips. HYDRATION – recovery and hydration begins before sport and exercise takes place, temperature and intensity are important aspects to consider, 1% loss of body water effects VO2 max output, increases heart rate and decreases alertness. For 20 minutes of exercise 300 ml of fluid needs to be consumed pre-event. Post event 1 litre of fluid for every kilogram of weight lost during event, measuring pre and post event can help with this equation. Electrolytes and recovery drinks can form important nutrient recoveries for the body, which is best 30 minutes post event, when muscles uptake of glycogen is at its optimum. A 4:1 carbohydrate to protein ratio is best for replenishment of glycogen stores and muscle repair, many recovery drinks fit this bill, as does low fat chocolate milk as a cheaper easy option. FOOD – High quality carbohydrates are essential in optimal recovery, 7-12grams per kilogram of body weight is necessary to replenish muscle glycogen stores. An easy snack that contains 50 grams of carbs is 2 slices of toast with banana and 1 tablespoon of peanut butter. High quality protein is essential for muscle repair, 15-25 grams of protein should be consumed one hour post event. A favourite meal post exercise is pasta with chicken and vegetables which covers all the essential carbs, proteins and fat. MUSCLE RECOVERY – Compression garments can aid in minimising tissue swelling, promote blood flow back to the heart and help with lactic acid recovery. There are several clothing brands now on the market but make sure the garment is tight but not constricting. Static stretching post event can increase blood flow to muscles, improve range of motion and speed up recovery and promote injury prevention. It’s important to only stretch warm muscles, and the muscles you have used in your exercise or sport. Stretch slowly with no bouncing, and breath through stretches not holding breath, current time frames of 45 seconds to a minute for each stretch, re potions dependant on tightness and previous effort. Ice baths are beneficial, they cause blood vessels to constrict, forcing out blood with waste products, such as lactic acid, from the muscles. No more than 10minutes of ice bath, I usually use a cold pool and for 5-10 minutes, followed by a warm shower to further promote circulation, but usually only on the heavier training days. Massage can aid in flushing blood in and out of muscles and joints, aiding in reducing waste product stagnation, improving circulation, helping injury prevention and reducing muscle tightness and imbalances. Oboe rollers are becoming very popular and can be performed by yourself, which saves the cost of massage therapists, as well as not burdening partners with this arduous chore. Active recovery can be another solution to good recovery, Low Intensity activity boosts circulation which removes lactic acids and promotes faster recovery, a talking pace with minimal exertion is paramount to this modality of recovery. SLEEP – a good nights sleep, plus little nana naps are essential to good recovery, the body releases growth hormones and testosterone which aid in muscle repair and weight loss, as well as boosting immune system. It’s also a time for your brain to rest, your body to heal and repair post exercise. If it’s a nana nap on the cards, 45 minutes of sleep is optimal for physiological benefits to take place. Concussion is a Mild Traumatic Brain Injury. Abnormalities found on scans in asymptomatic people. Lateral ankle sprains – How should they be managed? Strain and sprain is not OK!